I think of him every single day. Some people raise their eyebrows in surprise when they hear that. But any parent only needs to ponder it for a moment and imagine themselves in that position. Then they understand. They realize they would, too. It isn’t just once each day, like it pops in my head at some point each day. It is throughout each day. Every day. I think of him as continuously as I think of any of my other children. Because he is mine. Today marks 11 years since I lost my baby Braxston. He was stillborn. Each year on his “birthday,” I write about him. Often times I write something in an effort to be helpful about this type of process. I have written Allow Grief to Be Felt. Not Less Painful–Just Better At Handling It. Traditions for Lost Child’s Birthday. Other times, I haven’t been able to say much more than I am hurting (Stillbirth: Still Painful 9 Years Later). 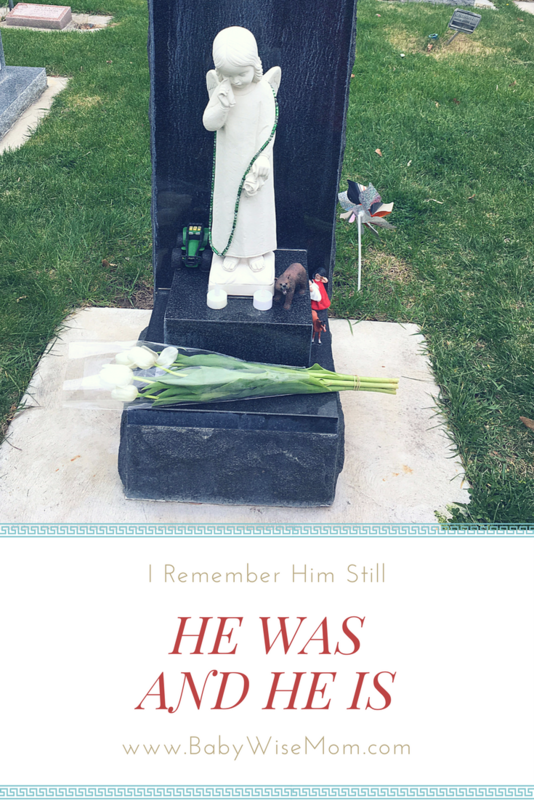 This year, I just want to say that he was. And he is. He was and is my baby. He was and is a brother. He was and is a part of our family. Throughout each year, I report on what is going on with each of my children. Each of them except one. He was and is a part of our daily conversation at our house. I don’t think a day goes by that we don’t talk about Braxston in some way. The children will also tell anyone and everyone about him. “How many brothers and sisters do you have?” is a questions Brinley is often asked. “I have two sisters and one brother. I also have a brother who died” is the theme of her response each time. That usually draws a startled look from the inquirer. He was and he is. We talk about him. We don’t tiptoe around him. Each year, to celebrate his birthday in a happy way, we go to the cemetery and bring flowers. Sometimes we bring a toy. We then grab pizza and go to the best park in the valley. It isn’t close to our home so we don’t go often. It is Braxton’s park. It is where we have fun together to remember him. This year, McKenna and I bought the flowers. She wanted tulips, and they had to be white because he is with the angels. The cashier commented on how beautiful they are and asked what they are for. “They are for our brother. He died” McKenna replied cheerfully. The cashier searched for something to say, and I simply smiled kindly at her. It is okay. And he will be. Forever. 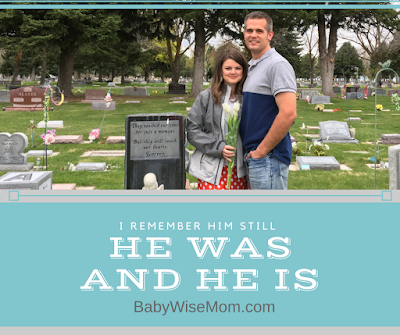 Are you wondering what to say to someone who has lost as baby and what not to say? Read this post for tips.